Looking for a home with a bit of land? Look no further! These are homes sitting on at least 1 acre of land, if you need more click on the ‘All Homes’ link below the listings and specify minimum acreage in the ‘Acres’ field. you can also use that for to specify other parameters such as price and square footage. Homes for sale in Apex with 1+ Acres for less than $300,000. All Cary homes With Land for Sale, 1+ Acres. 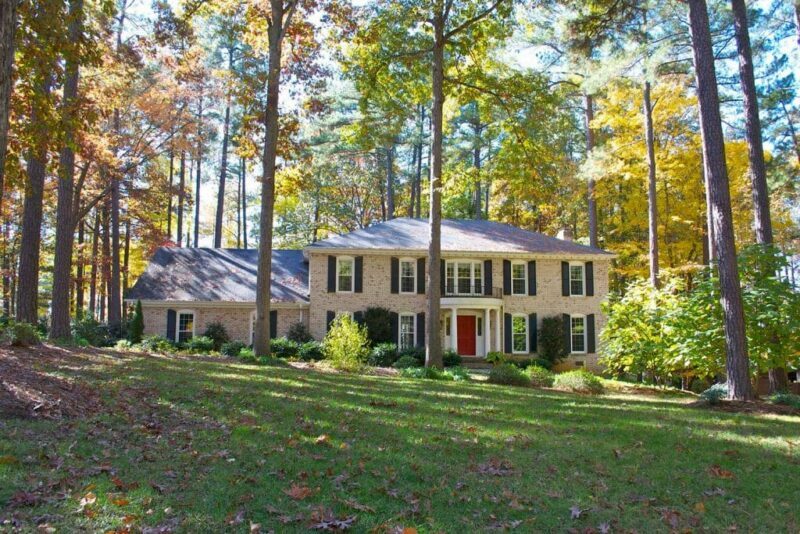 Homes for sale in Cary with 1+ Acres for less than $300,000. All Chapel Hill Homes With Land for Sale, 1+ Acres. Homes for sale in Chapel Hill with 1+ Acres for less than $300,000. All Durham Homes With Land for Sale, 1+ Acres. Homes for sale in Durham with 1+ Acres for less than $300,000. All Fuquay Varina Homes With Land for Sale, 1+ Acres. Fuquay Varina Homes With Land for Sale, 1+ Acres. All Holly Springs Homes With Land for Sale, 1+ Acres. Homes for sale in Holly Springs with 1+ Acres for less than $300,000. All Morrisville Homes With Land for Sale, 1+ Acres. Homes for sale in Morrisville with 1+ Acres for less than $300,000. Raleigh Homes With Land for Sale, 1+ Acres. Homes for sale in Raleigh with 1+ Acres for less than $300,000. Finding a home in the Triangle area can be a daunting proposition! What are the benefits of Cary over either Raleigh or Durham? How long is it going to take me to get from Holly Springs to either RTP or downtown Raleigh? What will I pay for a 3 bed, 2 1/2 bath home in Morrisville? Where do I find waterfront homes in the area? These are the type of questions we are asked on a regular basis. For honest, straight forward answers to these and other questions about Triangle Real Estate and the greater Triangle area in general please do not hesitate to contact Kevin, 919 349 0096, lingark@hpw.com. The Triangle area is consistently winning accolades and awards. With the nations largest research park, RTP, and more PHD’s than anywhere else in the country the Greater Triangle area is THE place to be. The Kevin Lingard Team are a group of full time, professional, real estate agents. As a result they are committed to helping you find your perfect home in Cary, Apex, Morrisville, Raleigh or any of the other great Triangle communities. Their aim is to make your move as smooth and worry free as possible.